Describing the wine’s dark fruit, the full body, the balance… it just wouldn’t do this bottle justice. Instead, I invite you to dust off that vintage briar wood tobacco pipe. Light a fire. No, not gas, a real fire. Mesquite. Push the logs around, get it going. Now, cook yourself a steak. Cook it just like Loretta does for Ronny in Moonstruck—you’ll eat it bloody to feed your blood. Go sit in a comfortable chair. Preferably the one with worn, brick red leather, situated in the adjacent library. Get an old book, any classic. The Grapes of Wrath. The room’s dimly lit, but you can see good enough. Sip, turn the page, savor, and sip again. 14.6% Alcohol ~ 100% Delicious. 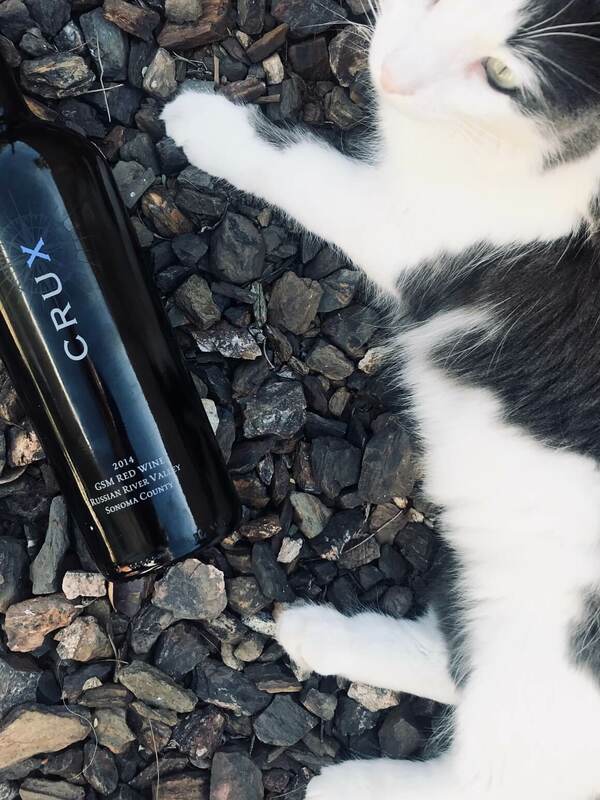 Crux 2014 GSM ($46) is a blend of 58% Grenache, 18% Syrah, 22% Mourvédre, and 2% Petite Sirah. Each vintage of their GSM is based on the year’s unique characteristics. Quite a bit of sediment in the 2014 GSM. 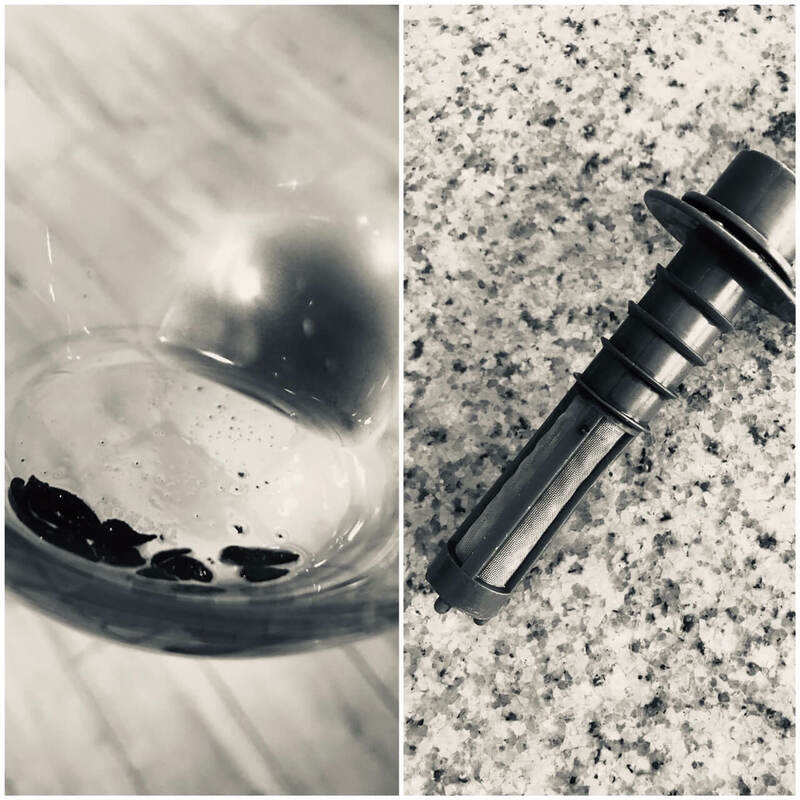 I suggest using a filter or decanting! Crux is defined many ways, but here, it means a sense of place. Brian Callahan and Steven Gower became neighbors in Sonoma County about fifteen years ago. What began with making wine out of the garage, they planted their own vineyard, and Crux Winery was born. Their name is in reference to the place they live, at the north end of Russian River Valley. The symbol on their CRUX label centers on the X, the pivotal point on the compass—referring to a sense of place (have you viewed their Instagram page yet? It truly looks like a beautiful place). Just a couple of the cuties you’ll meet at Crux! 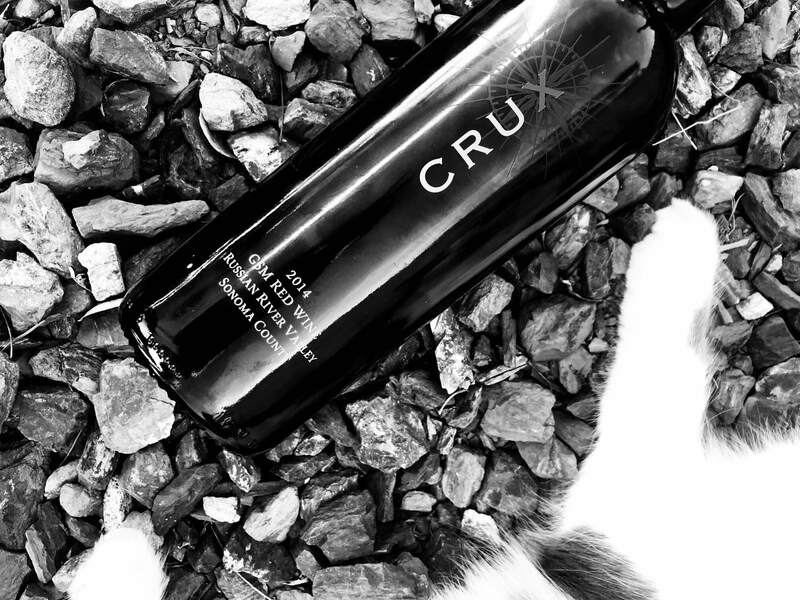 I was also fortunate enough to try Crux’s SVB in the past, thanks to the kind #PinkSociety wine friends. Grateful for this GSM as well. Truly a beautiful, hedonistic wine and even though this bottle could age past 2024, I recently enjoyed it for my birthday (the wine is already aging better than me). What a gift! I’ve yet to visit Crux (plan to! ), but Brian and Steven seem like wonderful, kind people and they have some adorable winery animals. 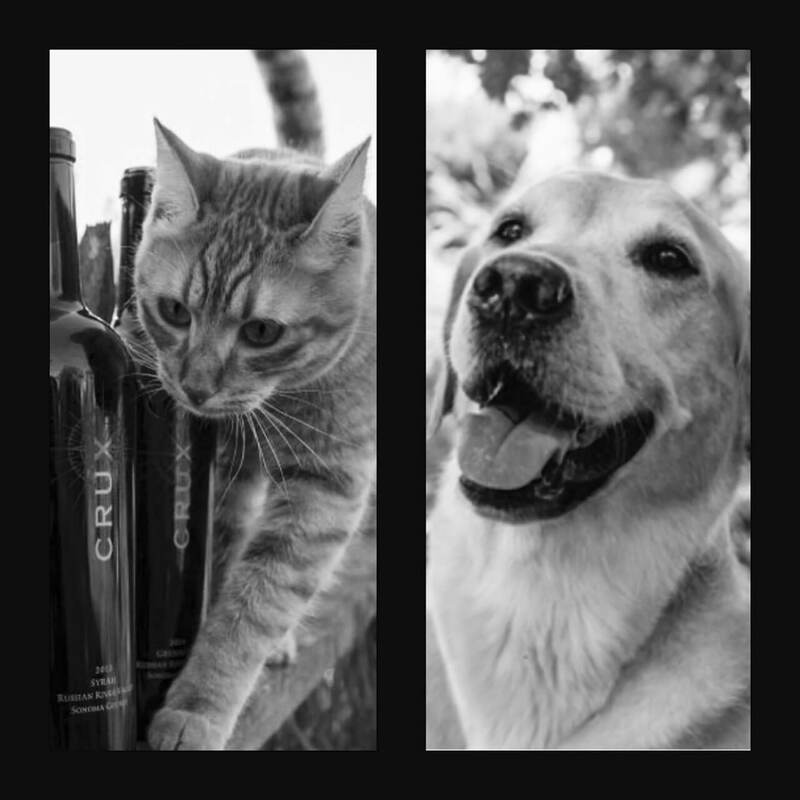 Please visit their Instagram & Twitter pages: @CruxWinery. You’ll see their sweet winery cats, Macaroni and Oscar, as well as cutie winery dogs like Larry, Lucy, Finn, and Daisy Mae. Please click one of the links to their website and support them if you can. Cheers! *Disclaimer: I don’t smoke. I don’t eat red meat. Ever. I received this wine as a gift. And, it’s good. Real good.